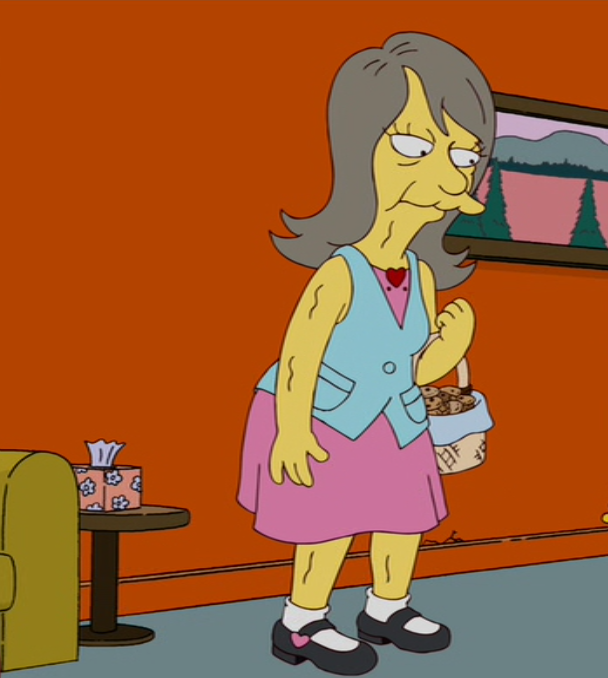 Belle is a senior now living in Springfield Retirement Castle. She is Jenny's aunt. Bart got startled when he first saw her because she and Jenny were wearing the same clothes, causing Bart to believe that Jenny had suddenly become an old woman. Modified on January 30, 2013, at 14:30.